From straight-line cable parks to wakeskating, you’ve got to try some of these unique watersports at some of the best beaches Southwestern Ontario has to offer. 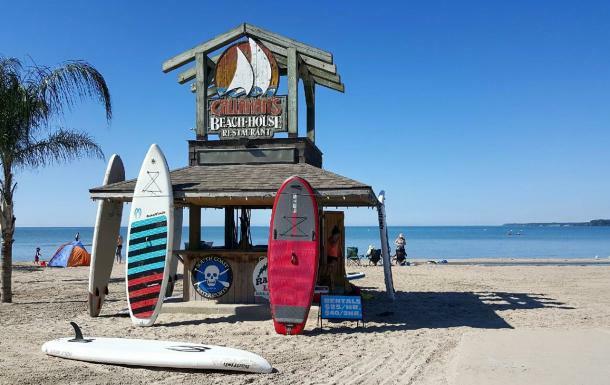 If you find yourself in the quaint town of Port Stanley, you’ve got to head to Sport In Port where you can rent a kayak or stand up paddleboard (SUP) and explore the shore right on Port Stanley’s main beach. You’ll find Sport In Port open on the beach on sunny days with lower wind conditions next to the west breakwater in front of Mackies and Lakeside Pizza. Still a beginner? Don’t worry! Sport In Port offers beachside SUP Quick Start lessons and more in-depth Paddle Canada Certification lessons. If you’re still looking for more watersports fun, check out Bridgeview Marina where you can rent jet skis, canoes, kayaks, and SUP boards for your beach day. There are also spots available for boat and jetski dockage, and you can even spend the night at one of their coveted camping spots. While you’re splashing around in the warm waters of Canatara Park, you’ve got to try Boarder Pass, the first straight-line cable park in Ontario. With tons of obstacles and an incredible first time experience for beginners, Boarder Pass attracts riders of all skill levels from both sides of the border. It even boasts some of the calmest waters on Lake Huron all day, every day, as it is tucked away in a small bay that is well protected from the wind. If you’ve got a more traditional watersport in mind, check out Beach Bumz Beach Rentals where you’ll find everything from stand up paddleboards to kayaks at these beachside pop-ups in Bright’s Grove and at Canatara Beach. There’s even something for sun worshippers who can select from a variety of beach loungers, umbrellas, towels, hammocks, and more. If you’re enjoying a calm, sunny day at Turkey Point, head to Turkey Point Watersports for some splash-filled fun! Whether you speed along on a Waverunner or cruise the shoreline on a pontoon boat, they provide the perfect opportunity to see the entirety of Long Point Bay. 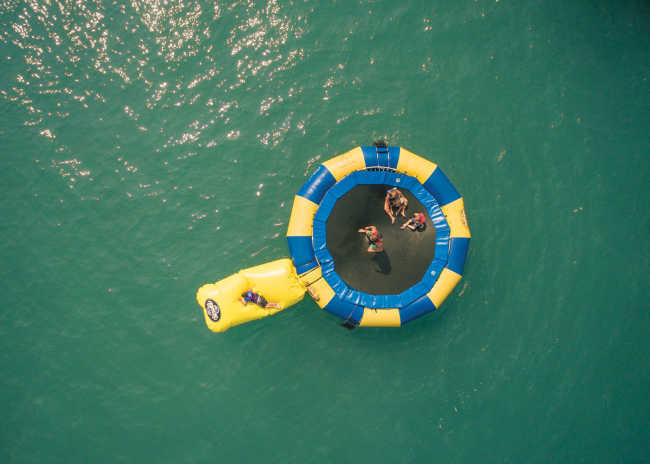 Bring the whole family because the kids will love their water trampolines, which even have slides, launch pads, and logs. For the kayak-lovers in your life, go to Grand River Marina & Cafe. They will get you outfitted with a rental for the day to explore this amazing river. From tandem to fishing kayaks, there&apos;s plenty of options available. What better place to try a new watersport than Erieau, which boasts some of the warmest waters on Lake Erie. Want to learn an extreme watersport this summer? Erieau Wakeboard & Watersports School offers lessons in wakeboarding, waterskiing, kneeboarding, wakeskating, and wakesurfing, which can all be performed on local waterways. Whether this is your first time on the water or you’re a seasoned professional, Erieau Wakeboard & Watersports School is the place for you. 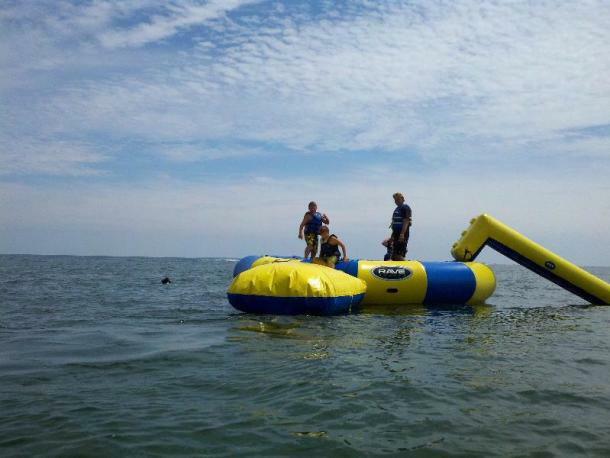 Last but not least, check out South Coast Watersports, your destination for on the water fun in Lake Erie. This go-to destination provides rentals for stand up paddleboards for individuals, couples or groups just steps from the beach in beautiful Port Dover. They’re also the most coveted spot for SUP yoga, scenic SUP tours, and skimboarding camps and lessons. With a staff that has a combined experience of over 50 years, you can rest assured you’re in the very best of hands at South Coast Watersports. 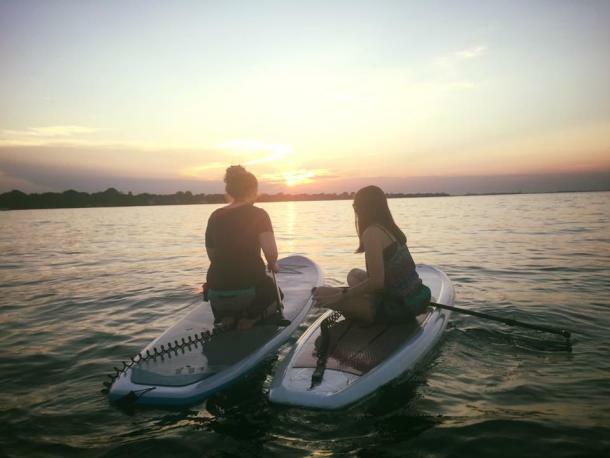 If you’re near Lake St. Clair, try Urban Surf Company, which offers paddleboard, canoe, and kayak rentals along with paddleboard yoga classes. Urban Surf has quickly become Windsor-Essex County’s #1 Stand Up Paddle Boarding destination. Another great spot for some daring watersports is Windsor Adventure Inc., a certified outdoor adventure company. Try any of the equipment they have available including kayaks, paddleboards, and more. 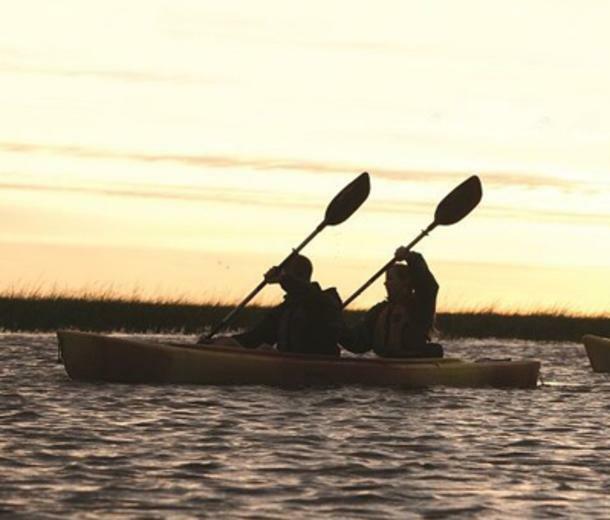 Urban Surf gives individuals, groups, and families the chance to experience memorable outdoor adventures throughout the beautiful Windsor-Essex County. If you’re looking for some more wild watersports or splash-filled fun, check out some of our favourite destinations in Grand Bend here.